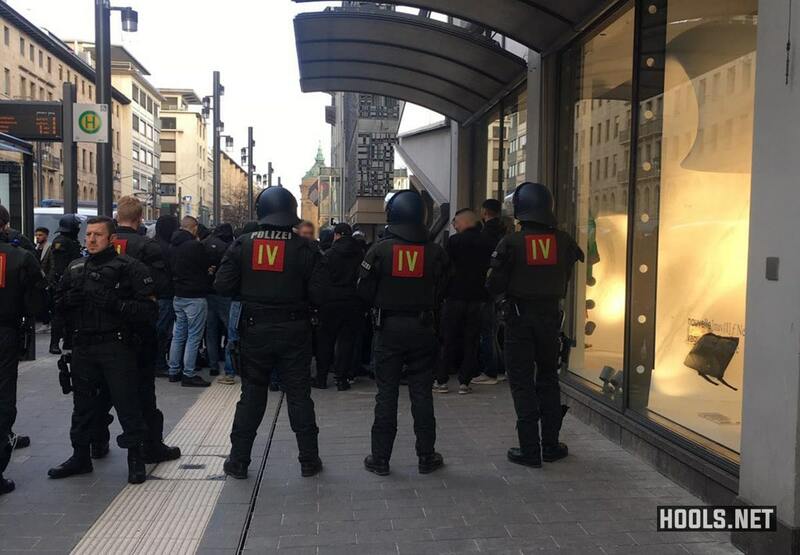 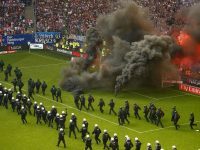 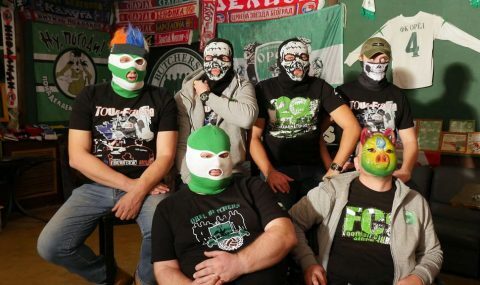 Karlsruher hooligans clashed with their Waldhof Mannheim rivals in the southwest German city of Mannheim on Wednesday. 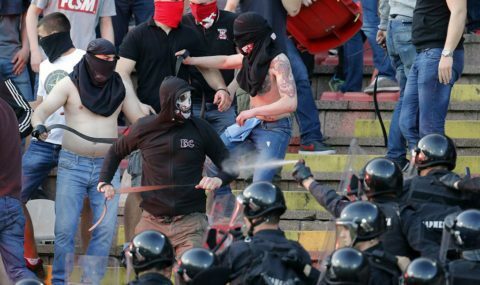 The brawl came a few hours before a regional cup match between VfB Gartenstadt and Karlsruher SC. 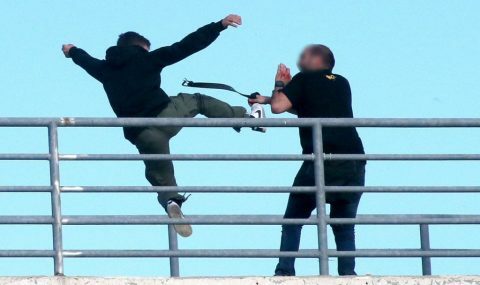 In the video below, they can be seen exchanging punches and throwing fences from a nearby building site. 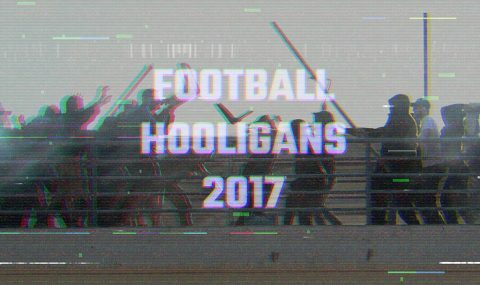 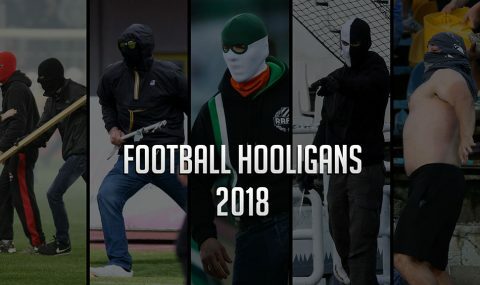 In all, 49 hooligans were detained and had their details taken by police. 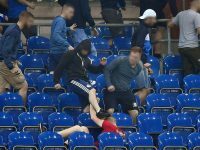 Two people were injured and taken to hospital.